Paolo Quagliati: (b Chioggia, c1555; d Rome, 16 Nov 1628). Italian composer and organist. He was born into a noble family of Chioggia and in about 1574 settled in Rome, where he remained until his death. During more than 50 years there he worked for wealthy patrician families, as well as for the church, as both musician and bureaucrat. He was maestro di cappella at S Maria Maggiore from 1591 to 1621 and seems to have held a similar position at S Marcello al Corso; he also worked as a musician at the Oratorio del Crocifisso on numerous occasions between 1595 and 1618. He became a Roman citizen in 1594. In 1606 his Il carro di Fedeltà d’Amore was performed on a decorated cart in the streets of Rome during the pre-Lenten celebrations. Pietro della Valle, who wrote the text, declared later that it ‘was the first dramatic action or representation in music that had ever been heard in that city’, an exaggerated claim. Between about 1605 and 1608 Quagliati was in the service of Cardinal Odoardo Farnese, to whom he dedicated his madrigal volume of 1608. The title-page of this publication describes him as organist of S Maria Maggiore, a post he probably held until his death. He is also known to have played the organ at other Roman churches on special occasions. The respect in which he was held by his contemporaries is attested by the dedication to him of Giardino musicale (RISM 162115), an anthology of songs and duets by eight Roman composers, Frescobaldi among them. During the last years of his life he was in the service of the Ludovisi family. When Cardinal Alessandro Ludovisi became Pope Gregory XV in 1621, he was appointed apostolic prothonotary, and private chamberlain to the pope. For the wedding in 1623 of the pope’s nephew Nicolò Ludovisi to Isabella Gesualdo (daughter of the composer) he wrote the collection La sfera armoniosa, the print of which includes an engraved portrait of him by Ottario Maria Leoni (reproduced in MGG1, pl.102/i). When the pope died in that year Quagliati remained in the service of the Ludovisi family. He died a wealthy man and was buried in S Maria Maggiore. Quagliati’s first personal publications were of three-part canzonettas: he published a sacred anthology in 1585 and two secular volumes in 1588, showing himself an enthusiast for the lighter forms that proved to be so important texturally for the emerging Baroque style. He was never a serious madrigalist, so the transition to monody and the concerted madrigal was perhaps easy for him. His one madrigal publication (1608) nevertheless manifests the kind of stylistic uncertainty common in the early 17th century, and its contents are devised so that they can be performed either as concerted madrigals or as monodies; as he stated in the preface: Seeing that nowadays one group take pleasure in ‘full’ music with many voices, although it seems that the larger group desire and applaud ‘empty’ music for solo voices and instruments … I have decided to cater to more than one taste. He was not alone in his attempt to fuse the old and the new; witness, for example, P.M. Marsolo’s practice in his second book of four-part madrigals (1614). Il carro di Fedeltà d’Amore is a brief festive work, consisting mainly of short solos and duets and ending with a five-part concerted madrigal; it should not be regarded as a miniature or proto-opera. The several other pieces following the Carro itself include four solo madrigals that are probably the first in Rome actually composed as such, though the solo versions of the 1608 works preceded them. 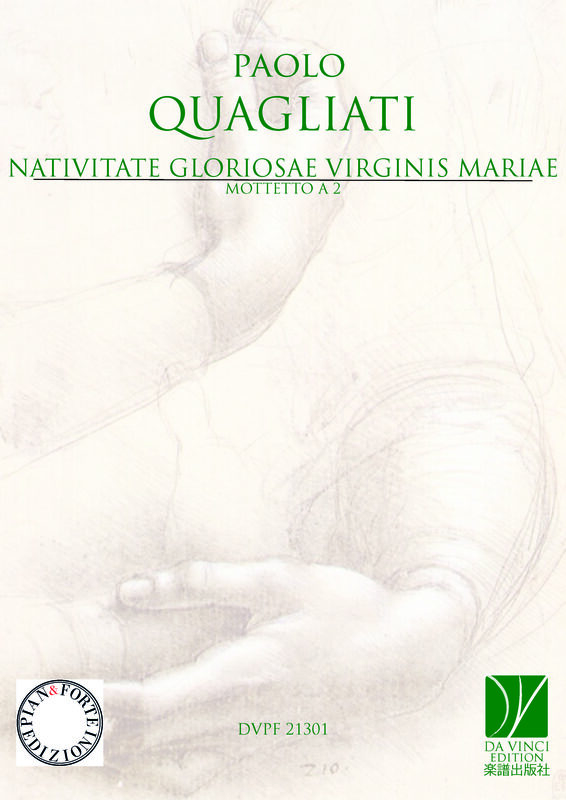 Quagliati’s most substantial secular work is La sfera armoniosa, which comprises 25 numbers, mostly solos and duets, with a concerted violin part; five madrigals are variously adapted from the 1608 collection. His Ricercate e canzoni (1601, not lost as stated by Kast) display conservative features often associated with the stricter contrapuntal forms. Curiously, the ricercares and canzonas are not differentiated in the body of the publication and cannot easily be distinguished from one another. Quagliati’s sacred works, which range from monodies to a 12-part work, have been little studied. In all his works Quagliati used clear, mostly diatonic harmony and adopted a conservative approach to the treatment of dissonance. He favoured modest concertato textures and his melodic style is simple and graceful.